Shining bright with its golden light that’s both compassionate and kind, the slice-of-life anime series “Barakamon” swept through all the other shows; making itself stand-out as a rare anime that bears a special “feel-good” atmosphere. 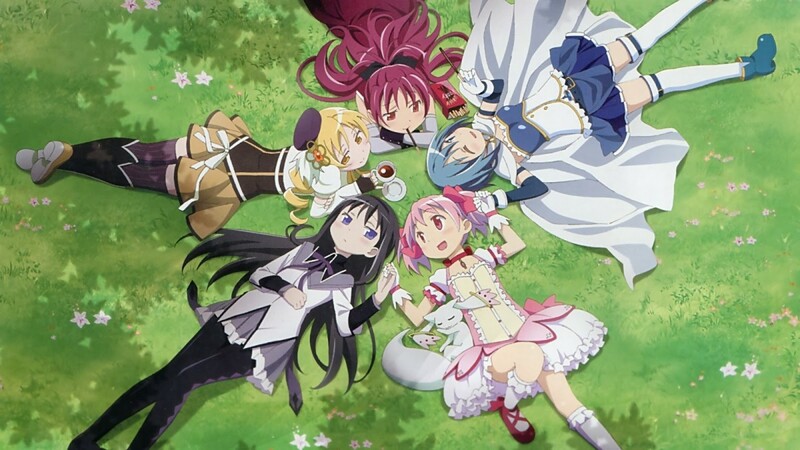 Unlike most anime we have seen before and usually see nowadays, this one possesses an entirely new and grand story-line and execution that makes its viewers feel warmth, compassion, and an assortment of positive vibes and entertainment without compromising its theme’s pure and innocent humor. 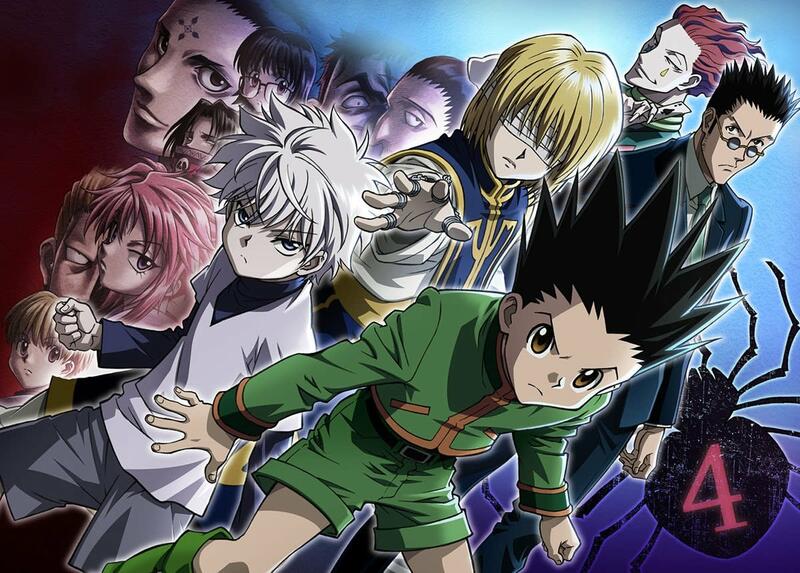 I don’t know if any other anime could stand with the sheen of this rare gem of a show but, I will try to collect some titles that are quite near and similar. 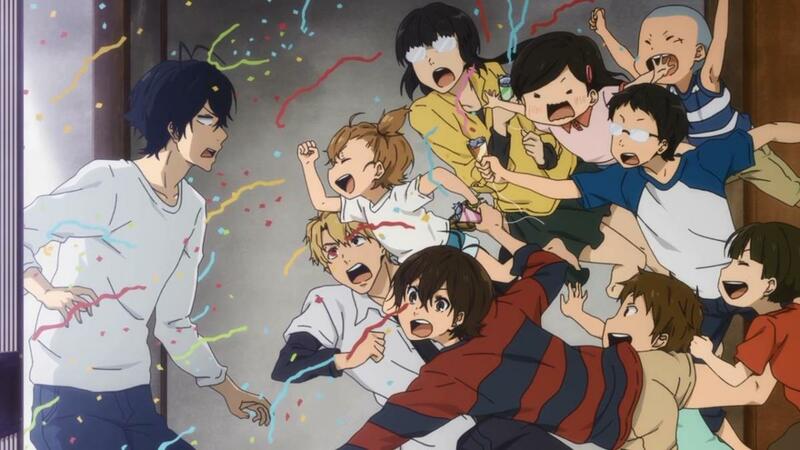 Hence, with that solemn purpose in mind, I now present to you – the anime like Barakamon. Consider watching them all and tell me if they were able to give you the feels and touch your heart. After all, they’re the closest anime similar to Barakamon that I could find. Handa Seishu is a young talented genius-level calligrapher who knows nothing else in the world but calligraphy. He was so sheltered all his life that he had absolutely no idea what to do when he was exiled to a remote island after impulsively punching an important person in an art exhibit. Now, while on the island, Handa has to fend off for himself while trying to think and contemplate about his life and the things he had done so far. He won't really be alone on this after all though. The residents of the island especially a quirky little girl named Naru are there to get to know him and get him through his trials that are actually really not that difficult at all. The Story: When thirty-year old Daikichi decided to attend his grandfather's funeral ceremony, he didn't know that that event would be the start of a special moment in his life. Then and there, he along with the rest of his family and relatives shockingly discovers of the illegitimate daughter their grandfather had. 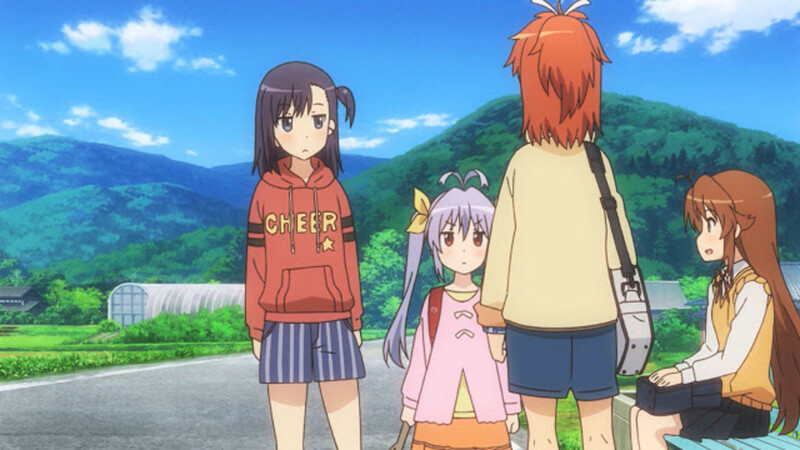 That illegitimate child, is the little girl named Rin. Being an illegitimate child and all, Rin was at the in danger of being neglected and eventually abandoned. None of the family members wanted to take her into custody - much to Daikichi's dismay. And so, reluctantly but with a heart warmly open for Rin - Daikichi decides to take responsibility for Rin and put her into his care. From then on, he starts his new life with Rin while trying to balance all his priorities and responsibilities for the greater good of himself and Rin. The Similarity: The main similarity with Usagi Drop and Barakamon is that both of them have lots of heartfelt messages to share. While the latter is a bit more light and relaxed, the former showcases a bit more dramatic atmosphere to inspire some mellow emotions from the viewer. Now as for the character persona, it'd be weird if you didn't notice the very apparent resemblance (as that is the the biggest correspondence of all for both). 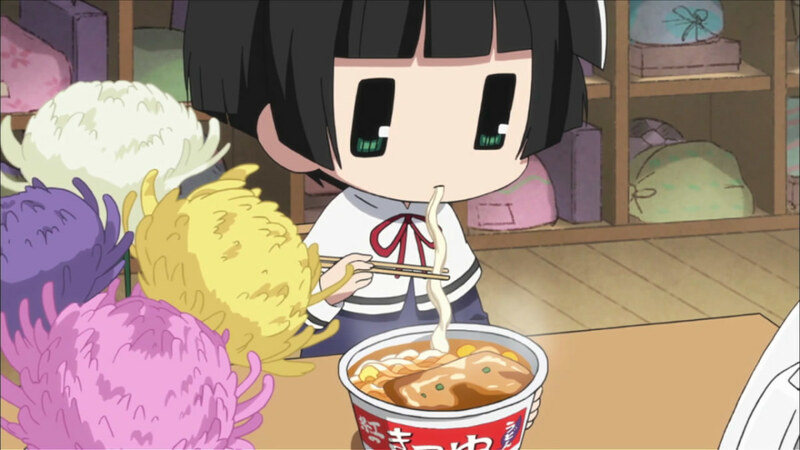 The Story: Living all alone and eating all the cup noodles she could eat, the little girl named Kohina is truly on her own with all the freedom she'd ever want. 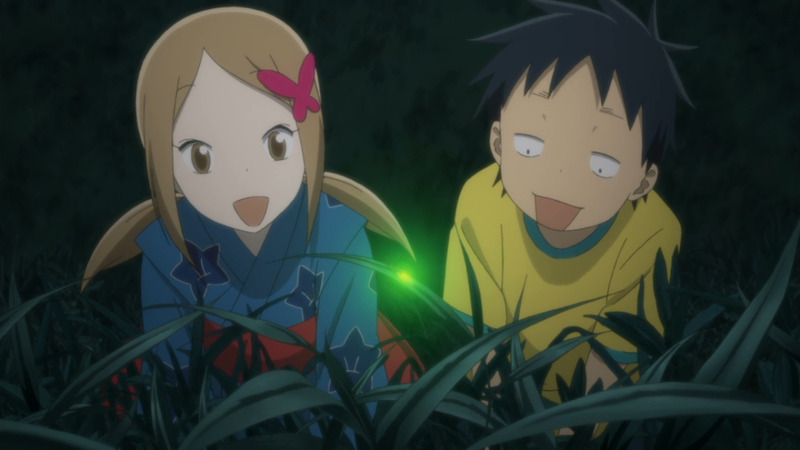 One day, she performs a ritual that would summon a ghost known as Kokkuri-san. And then she succeeded! Kokkuri-san is now in the mortal realm to haunt her. But, what supposedly was going to be "haunting" turned out to be a "babysitting chore" for the uncanny ghost; as his thoughtful side is screaming out to give Kohina a healthy diet and lifestyle, which includes preventing her from always eating her favorite -cheap and unhealthy- cup noodles. The Similarity: Again, the similitude of the character persona is strong with this one. And this time, it's an overly-concerned ghost and a weird little girl. As compared with Barakamon, Gugure Kokkuri-san fully executes its plot and characterization in a very innocent yet unusually funny manner. There's a crack of jokes here and there, and all the entertaining is effectively done in a wholesome and sparkling approach. With those themes in play, it's not surprising that both are actually on the same league when it comes to delivering an entertaining story that is spotless and unsullied. The Story: From city to countryside, elementary school girl "Hotaru Ichijou" and her family makes an abrupt change of lifestyle and atmosphere by moving to a faraway rural village. Hotaru transfers to a school there where her class consists only of four (4) students with school levels differing from elementary level to middle school level. With adaptation gradually getting into her, Hotaru takes up new adventures everyday with her new friends (classmates) in the tranquil landscape - all while building up new memorable experiences and lots of emotional bonds. The Similarity: Just like how we were presented with a setting far away from unruly urban cities and into tranquil rural areas in Barakamon, Non Non Biyori caters much of the same setting as well. As a redeeming quality, Non Non Biyori has its own redeeming moments of glory full of emotional attachments and touchy feels. And although it isn't that much heavy on hysterical comic relief and funny jokes, it does makes up for those with its scenes that will make your heart melt and bring a big a smile to your face. The Story: Ever since the start of her high school life, Chiyo Sakura had this overwhelming crush for Umetarou Nozaki. Having had collected all the courage she needs for her eventual confession of love, she finally does it - but not in the way she expected it go nor having the result she wanted. On her moment of confession, Nozaki gives her an autograph; totally misinterpreting her actions and thinking that she's a fan of his. Not knowing exactly what do in this kind of situation, Sakura goes with the flow in hopes that she'd get more closer to Nozaki. And so it happened! 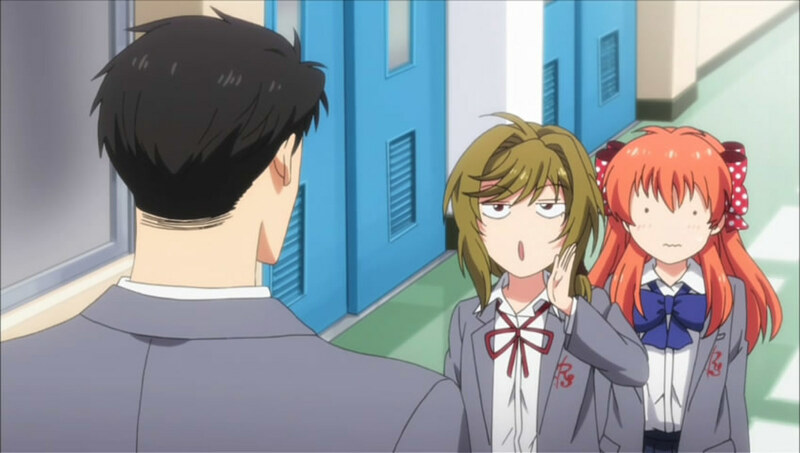 Nozaki reveals that he's actually a popular mangaka (manga artist) which in turn leads him to ask Sakura to help him with his shoujo manga that includes drawing/sketching and searching for peculiar inspirations in the persona of their similarly peculiar classmates and friends. The Similarity: It's not just a coincidence that both Gekkan Shoujo Nozaki-kun and Barakamon came out in the same anime season. I mean, two anime with almost the same degree of legendary rarity in them? That's just fantastic! Now let me expound on this awesome comical parallelism. 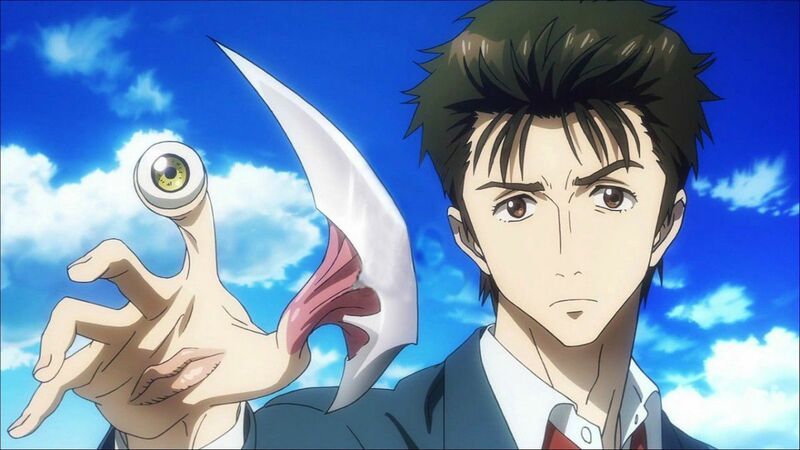 Both anime are funny and entertaining on a whole new level! By that, I meant that both are seriously funny that they'll keep you chuckling on ends as you spectate through the humorous happenings. Then, all the scenes are gleamed in a pure, innocent light that gives you the impression that things don't need to be over-sexualized and over-acted just to make you laugh. Besides all of that, there's a countless number more of reason how these two are similar, but I'll leave that for you to find out because I don't really want to spoil all the fun. I totally recommend this, so see for yourself. The Story: Meet city boy, Yugo Hachiken! Dedicated to pursue his dream of living an independent life separated from his family, he decides to pursue the course of agriculture for his career. Convinced that it only takes really good studying skills and habits to ease through the course, he immediately enrolls to a agriculture-focused school. But, with the ease and convenience he had in mind, he didn't expect that the way of agriculture was going to be considerably harder than expected. Since agriculture is the path that Hachiken had chosen, the only way to go is forward! And so, with that resolve and a bit of help from friends, farmers, and experts, he starts to live his new independent life geared towards the bosom of nature. 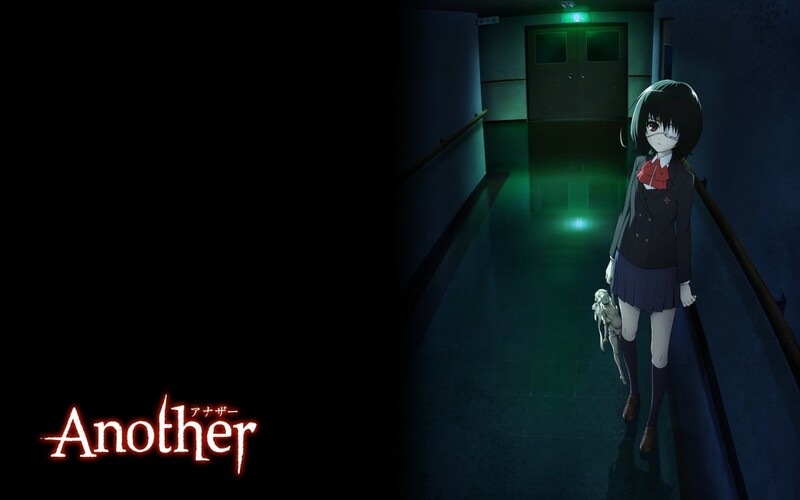 The Similarity: The main resemblance here comes from both of the main characters. Both of them are experiencing life-changing events that are obviously drastic and not convenient. As such, this results to both main characters trying to find a way to get through their problems which eventually leads to them seeking help and deriving comfort from new friends and companions. Leaving all the character likeness though, both settings are set-up in the rurals where the story of each syncs amazingly with it in a really wholesome and sterling way. The Story: Yuki is an aloof boy who never really had any friends because of his constant transferring of schools due to his grandmother's nature of work. Now, the place he's relocating to is the beautiful area of Enoshima where strange things were bound to happen. From a really simple, nothing out-of-the-blue life, who would have guessed that he along with an alien, a fishing prince, and an odd man with a duck will soon be saving the would through -you guessed it right- fishing! This is a simple tale of fishing (or was it not really as simple as it seemed) like you've never seen before! The Similarity: What can I say more? From my own perspective as well as the perspective of many other people who watched Tsuritama, they say that it's a show that's really relaxing and comfortable. And that's what is so similar with this and Barakamon - they're both really relaxing and comfortable to watch! Aside from that, there's also the occasional chuckles and feel-good emotions that one can easily derive from both anime. The Story: Ever since he was young, Natsume Takashi had the ability to see youkai (demons) and communicate with them. Even though he didn't fully understand his mysterious ability, he kept it all to himself; having the burden weighted only upon him. Later in his life, he discovers the "Book of Friends", a book that was originally owned by his grandmother who he didn't know had the same ability like him. With the book at hand, he learns of his ability to manipulate youkai, and thus starts his supernatural adventure of freeing spirits and helping them with their dilemmas. 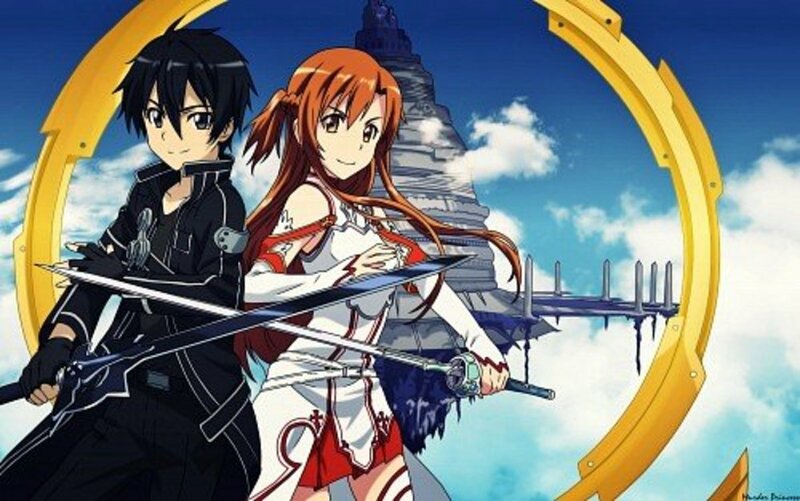 The Similarity: For both anime, they are inside the domain of the slice-of-life genre with themes centered on self-discovery and adapting to new environments and lifestyles. 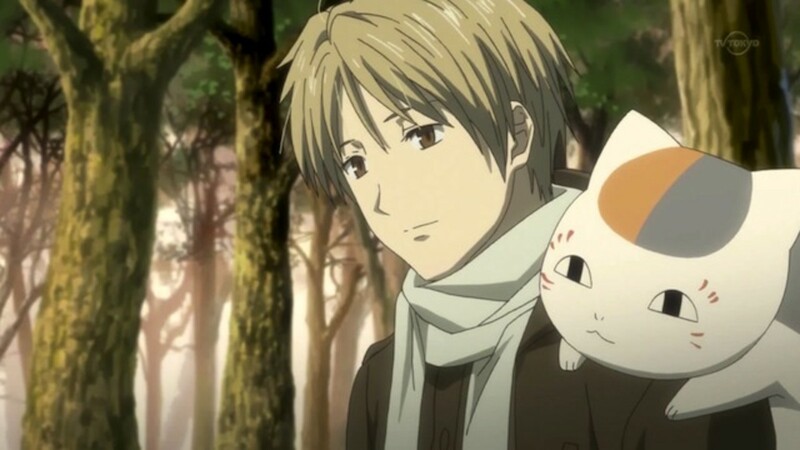 As to which, the main similarity comes close through the embodiment of the main characters - Handa for Barakamon and Natsume for Natsume Yuujinchou. Besides all the character likeness, the overall atmosphere of both are kinda similar in terms of making the audience smile with the whole of their hearts given the very simple yet appealing setting and background. The Story: In a chance encounter, Seiya meets an odd girl with a humongous mysterious firearm. The name of the girl is Isuzu and she wants Seiya to help on something really important. She then gives Seiya an invitation to the most rundown amusement park in the world - the Amagi Brilliant Park! 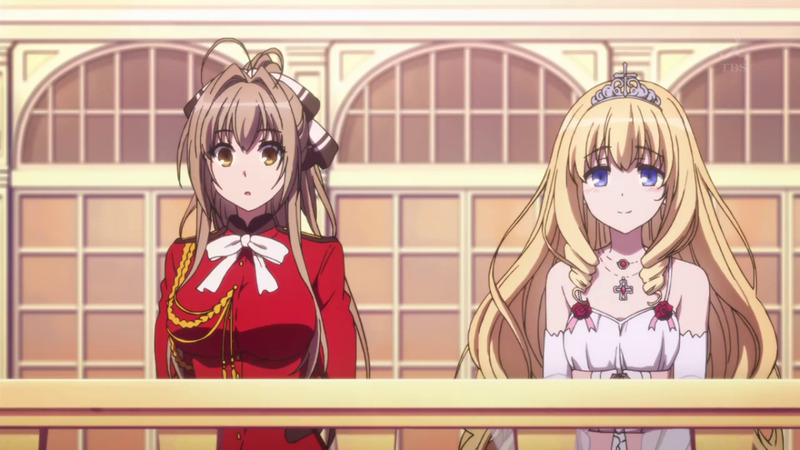 Amagi Brilliant Park is actually an amusement that is in danger of shutting down. And with that predicament in place, it was the reason why Seiya was invited. Isuzu and the princess of the park then forcefully gives him the mission of saving the park no matter what. The park, after all, wasn't really just an ordinary amusement park. It's actually a place where fairies live. The Similarity: Being in a totally new and unfamiliar place, having had a really distinguish status or ability in the present or past, learning to cope up with strange new things like people and events -- sounds familiar? 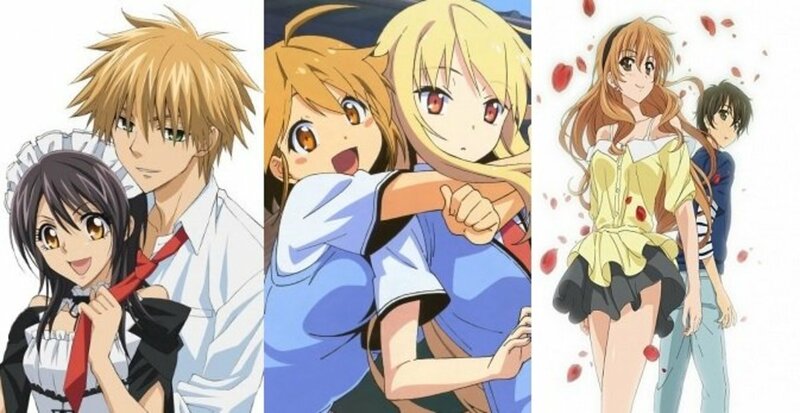 Well, if it sounds all too familiar, then that's because these are the main points and conditions that the main characters from Barakamon and Amagi Brilliant Park have or are undergoing. As what has been said, the likeness of both is with the situation/event that both stories takes root. 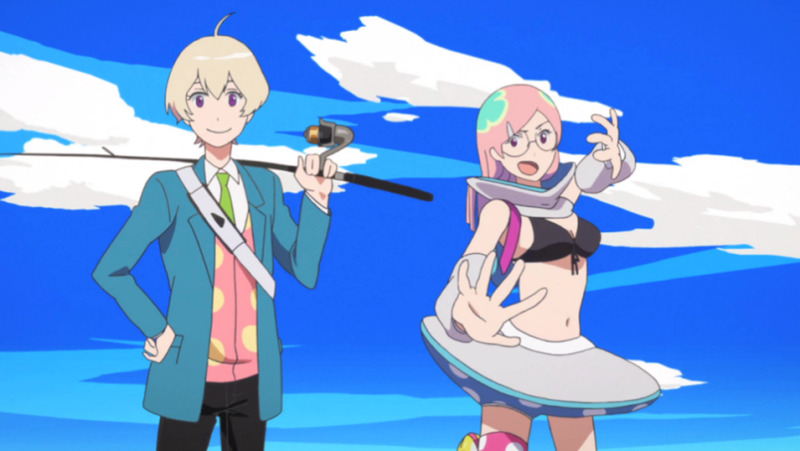 Now as for the genres, they're both slice-of-life anime with dashes of comedy that makes one feel good about themselves and fosters an atmosphere full of smiles (or laughs) and good vibes. I voted on "Gugure! 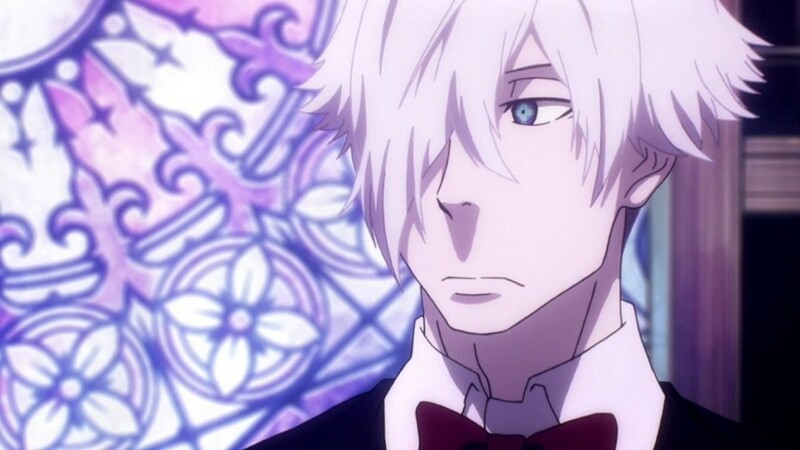 Kokkuri-san" because I've watched the majority on this list. barakamon and non non biyori is my best choice. 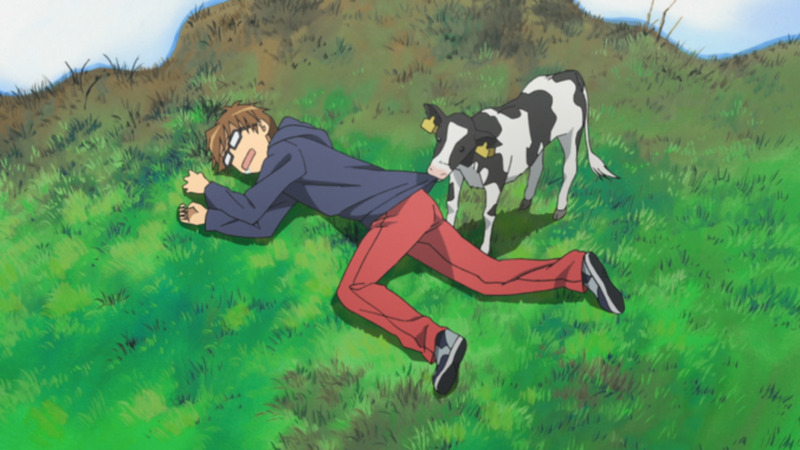 i just simply love countryside anime, the scenery, the warmthness of country people, just like that. it feels like time really moves so slow in the countryside. I love all of em :D!